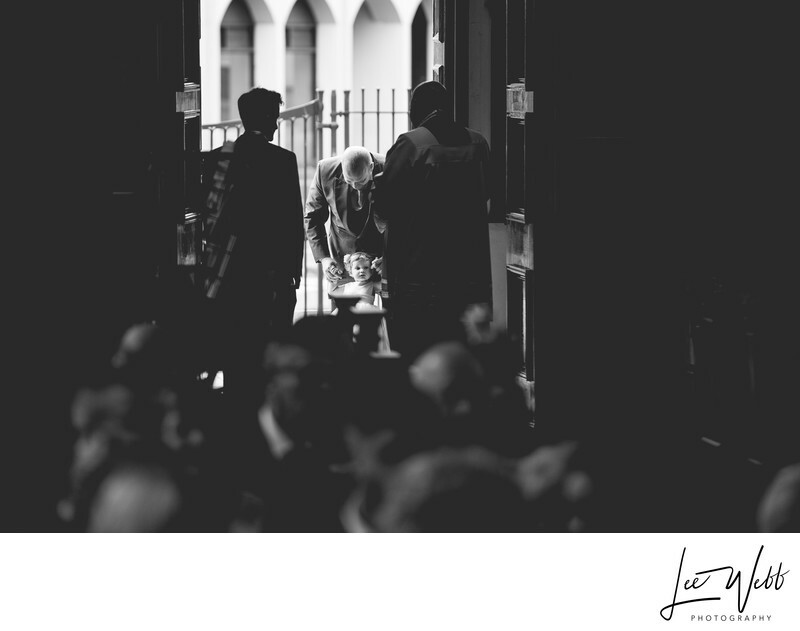 This documentary wedding photo was taken at St Georges Catholic Church in Worcester, only a couple of minutes before the bride was about to make her entrance. This young flower girl was being helped around by her father, unsure on her feet, she needed constant guidance but that didn't stop her exploring. As the bride was due at any moment, I was already in position at the front of the church, making sure I was in the right place to get the bride and bridesmaids as soon as they walked into view. The difference in light levels between indoors and outdoors was massive as the church wasn't that bright on the inside, which is why the people in the image at the bottom appear to be so dark. To get around this, I manually exposed for the outside, otherwise anyone outside of the church would have been far too bright. 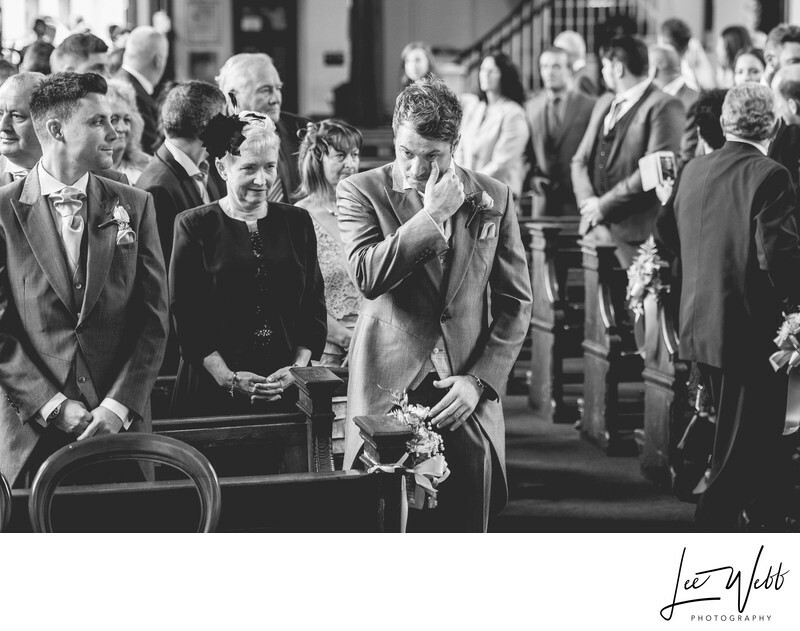 As the brides car pulled into the drive, two ushers moved forwards to the entrance to see what was happening. At the same time, the curious flower girl came around the corner and into view. She stopped dead in her tracks, confronted with the sight of two ushers who were a lot bigger than she was. The look of surprise on her face tells the story well! At least she handled it better than the groom! Location: Saint Georges Catholic Church Worcester.